Oh goodness, we have had some fun around here. Dear Nate, if you ever want to see your scriptures again call ###-###-#### at 7:00 pm to negotiate terms. From Evil Bird. 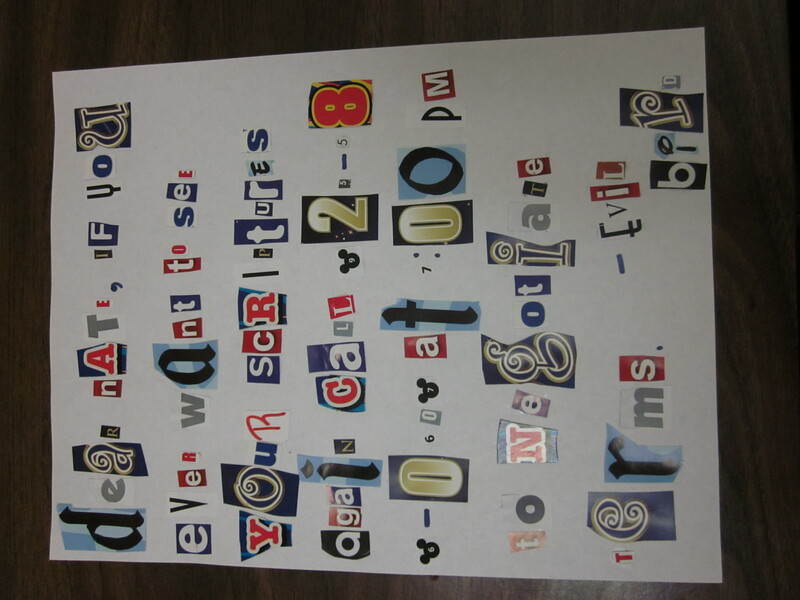 He called us exactly at 7:00 and he asked what we were asking of him for the ransom. We asked what he was willing to give us and he said that conform to our terms. That is kinda dangerous. But we ended up telling him that he was going to write me a poem, 5 verses long, it has to be satisfactory to my roommates, he must read it outloud with feeling, and it must be done before he gets the scriptures back.